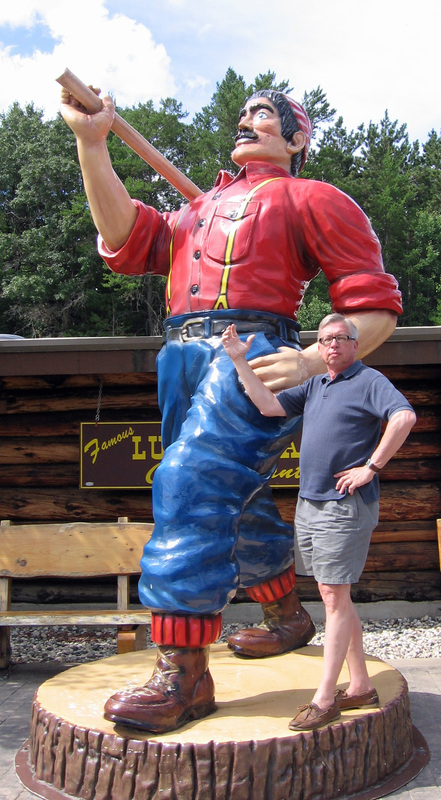 Wisconsin Dells Lumberjack – The Home of My "Big Things"
“A Family Traditon since 1958” it says on the sign out front. It should say “More Than You can Eat.” The Paul Bunyan Cook Shack in the Wisconsin Dells is crowded, serves lots of food and is perfect for families. Not for me. Like Cracker Barrel you have to walk through a gift shop to eat. Go there if that appeals to you. At least they didn’t have the rocking chairs on the porch in front. Did I make myself clear that I didn’t like this place, except for the Big Guy!